Long time Rome rider Yan Dofin is starting a new snowboard company based and manufactured in Quebec , Canada. Republic snowboards has been launched as a collective of riders, artists, photographers and friends to desing their first line up of boards using proven technologies, very interesting flex and of course lots of pop! They have some great graphic designs for 2011-12 all inspired by local artist and photographer. Also they don't market any of there boards with "green" claims but are doing their part environmentally and socially. -For printing graphics, Republic mainly use a process called sublimation, wich is a water base process without the need of any chemical solvent. They also recycle all transfer paper use in this process. -They only use pneumatic power, which is supply from electrical power. Note that in Quebec, only Hydro electricity is used which is one of the greener energies at the moment. -They use a local sawmill as supplier for wood core, so it allow us to use local aspen and poplar that is not interesting for local carpenter or cabinetry shop and that are often wood that is scrap our burn for heating by many local sawmill. -They supply more than 98% of our material in north america, more than 53% of this material is within Canada and more than 34% of this material is within Quebec, so that considerably reduce our carbon footprint's by not buying material we can supply locally or as close to us as possible. -By sourcing material as close to their factory as possible and by taking time to transfer our knowledge to specific potentiel local supplier they favorise local economy and contribute to keep employment up in our area. -By employing local workers and giving them a decent salary for their hard work they contribute again to the local economy and to maintain level of employment as high as possible in an area of Quebec where un-employment is high due the the economical situation and crisis in the wood industry. 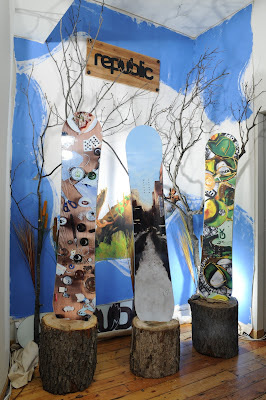 Check out Republic Snowboards on Facebook. 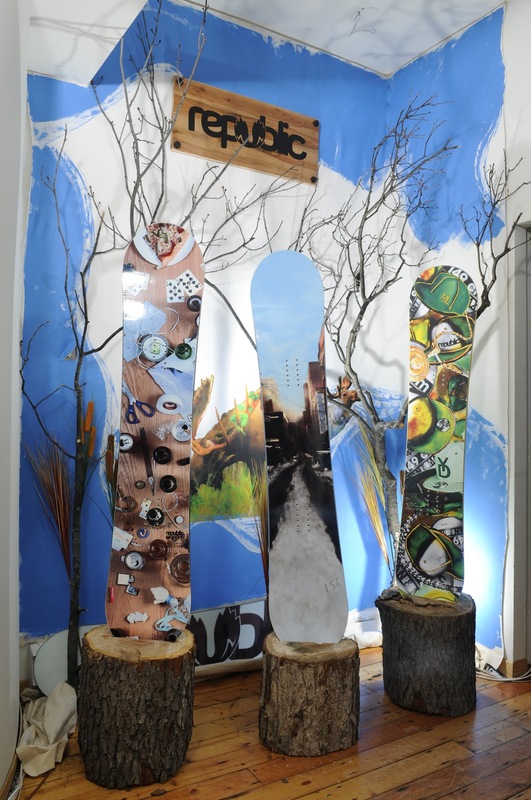 Most all N.American snowboard companies buy the majority of construction materials from US suppliers. Sublimation is also done not just for the eco friendliness of it but because its easier and allows for more dynamic artwork. The recycling and power of hydro is pretty cool though! your right, actually the Yan D looks like the Park treat from utp. any one knows why they change the name of the brand? I find UTP is a very good name, I prefer UTP 100%. For at least a couple of years, this place has been ranking high in most reviews regarding the best snow parks in the world. This is in fact ranked the top 1 snow park in the world. The Winter X Games houses the best board riders all around the world. It requires a park like Buttermilk to ensure a high quality design best for kicks, runs and tricks. So far, this snow park did not fail what the riders need in the Winter X Games. The 2000 foot run ensures every excited snow boarder to get a load of kickers, steps, rails and booters. If you want to check out what happened in the last Winter X Games, check out YouTube page and please Subscribe.